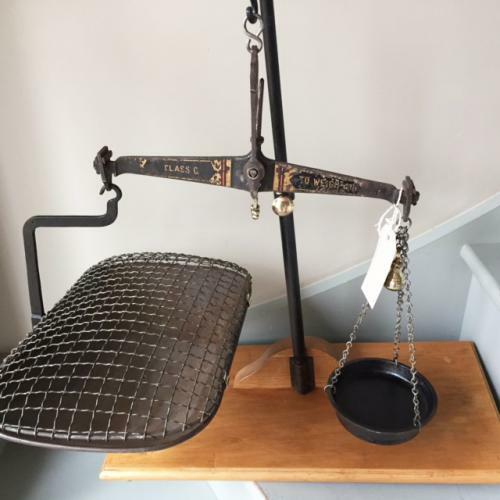 Very unusual scales that originally fixed on a fishmonger's bench and was used to weigh live fish such as crabs or Lobster etc. The scale pan has a mesh lid that is hinged on brass hinges to stop the contents jumping out. Made by Berry and Warmington apprentices to Avery Scale makers. Now shown fixed to a wooden base so they become free standing. They have original brass fittings and height adjuster.